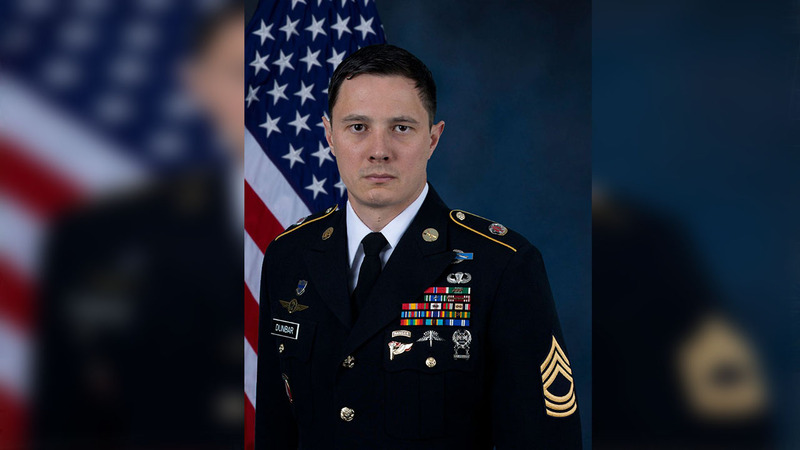 FORT BRAGG (WTVD) -- The Department of Defense has identified the American soldier killed after an improvised explosive device (IED) detonated in Syria on Friday. Officials said Master Sgt. Johnathan J. Dunbar, 36, of Austin, Texas, died March 30 after the device detonated near his patrol. Dunbar was assigned to U.S. Army Special Operations Command headquarters at Fort Bragg. One other person, who was a member of the United Kingdom's armed forces, was killed and five were injured during the explosion. The incident occurred near Manbij, where the U.S. and its coalition partners have a small contingent of forces advising, training, and assisting Syrian Democratic Forces in the fight against ISIS. The U.S. has approximately 2,000 troops inside Syria overall. Additional details surrounding the incident will be released once the investigation is complete.